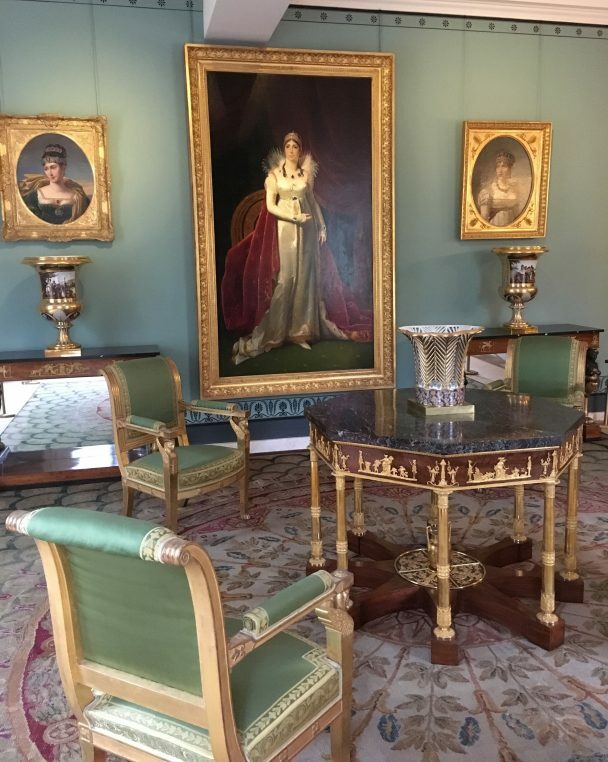 Château de la Malmaison is the small but very refined house where Joséphine Bonaparte retired when the emperor divorced her in 1809. She had acquired the house in 1799 and redecorated it with the help of architects Percier and Fontaine. It is full of charm, drama and its impeccable decor illustrates a little bit of the huge luxury with which the deposed Empress surrounded herself. 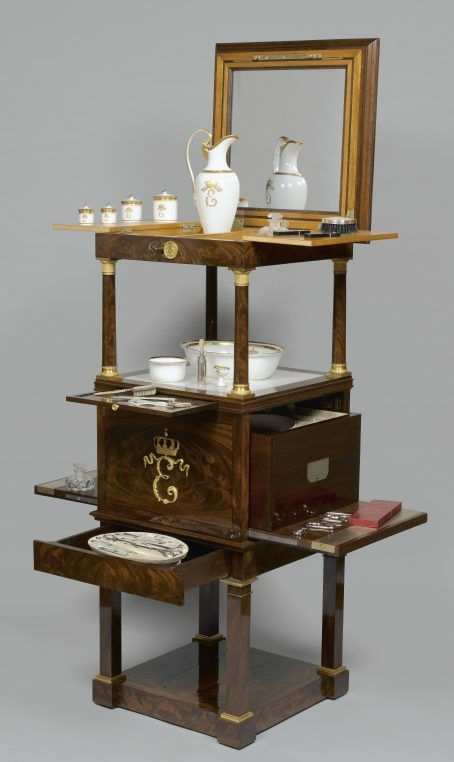 Isabelle Tamisier-Vétois, its furniture curator, just opened an exhibition on secrétaires (secret holders), with secret hiding places which also includes jewelry boxes and travelling trunks. It is a fascinating way to enter the world of politics and diplomacy in the 19 th century. And if you pick a sunny day, it provides for a romantic escape, forty minutes from Paris. The show is mostly devoted to the extraordinary tabletier ébéniste, Martin Guillaume Biennais, whose descendants have given the museum by dation a secrétaire with thirteen different secrets. The secret papers could be love letters, diplomatic documents or state papers but also most often gold or money. 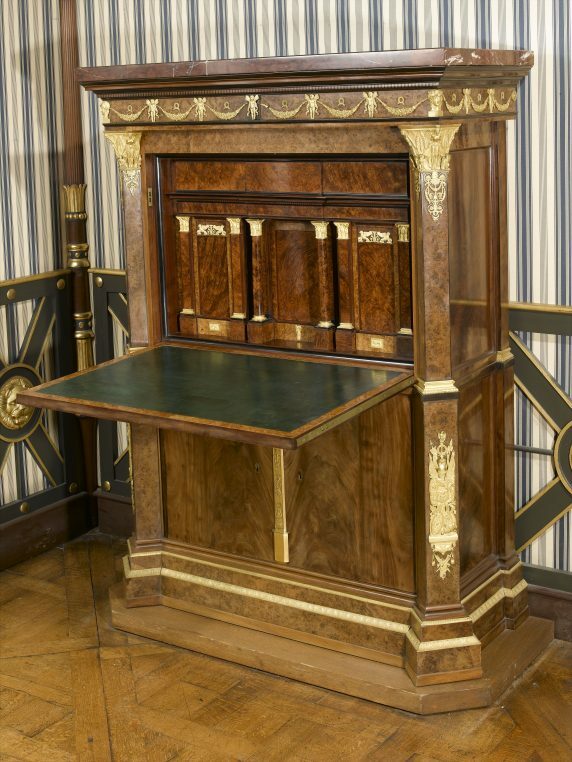 These secrétaires already appear under Louis XIV and Biennais (1764-1843) seems to have developed the art of camouflage better than anyone due to his dual mastership of cabinet maker and tabletier (shelf maker). 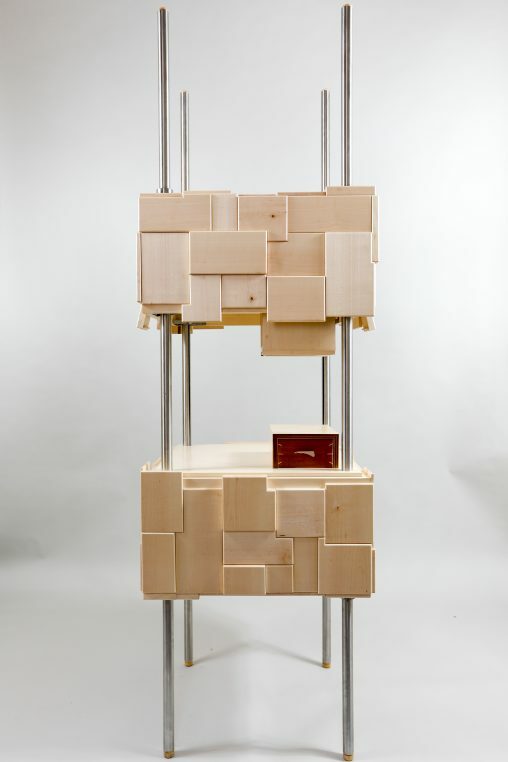 As it is well explained in the numerous little videos throughout the exhibition, one had to be masterful in order to create the numerous hiding caches and compartments behind the façade of the furniture. The serre papiers, Joséphine’s mail box, is one of the surprising pieces of the show. She could insert her letters or documents through the top slide and no one could access its drawer except for the key holder. It is a beautiful piece made of mahogany and gilt bronze. 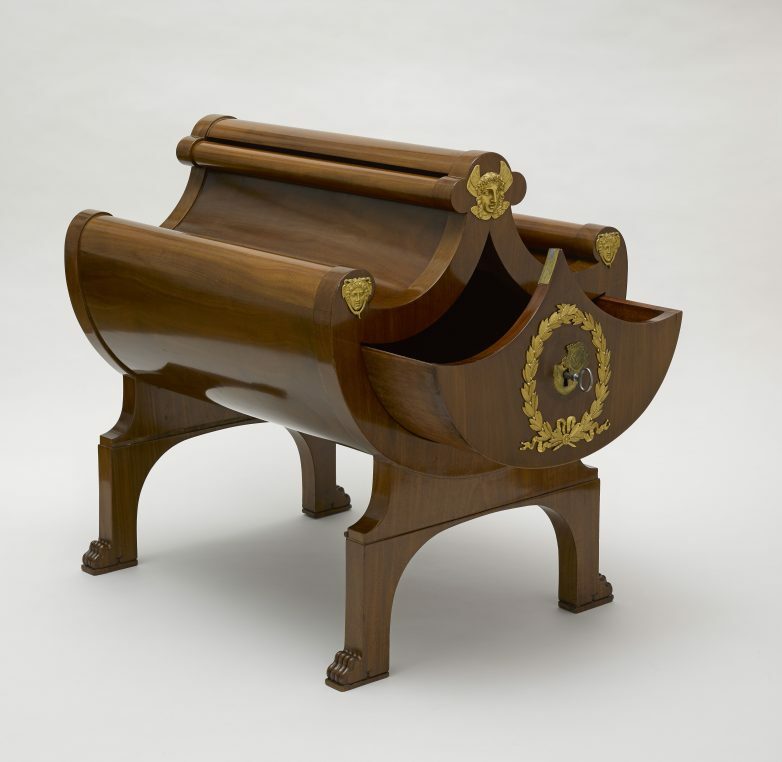 On the top floor of the show Cambacérès’s travelling trunk with the details of his toilet items was lent by Hermès who have a large collection of travelling items. It is spectacularly clever with its hidden lock which appears when you press an eagle’s head with a pin. The green leather and the mahagony form a pretty assemblage and the signs of grand Orient de France, his Mason lodge, are visible on top. 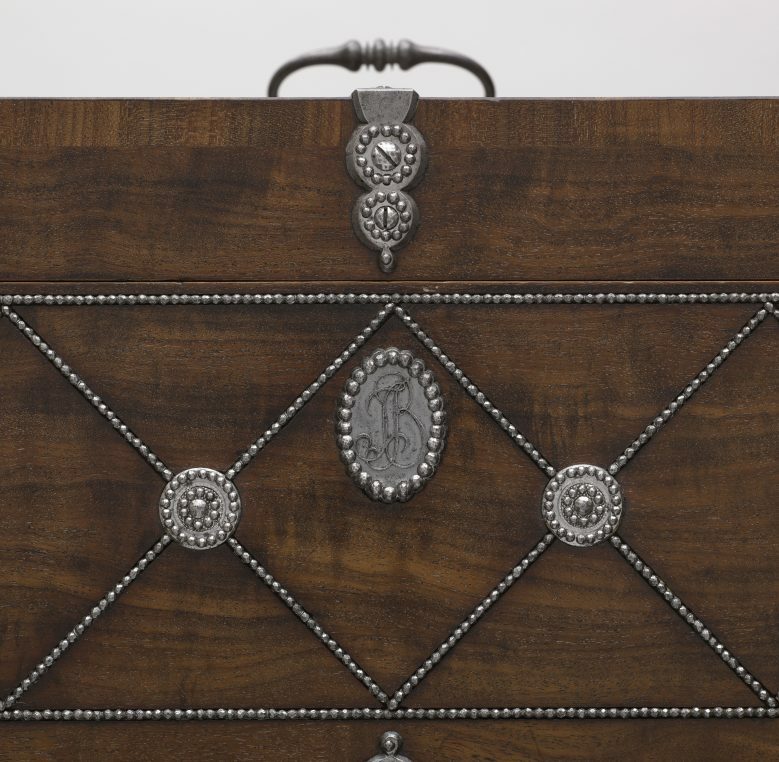 Each piece of furniture tells a long story on the period. 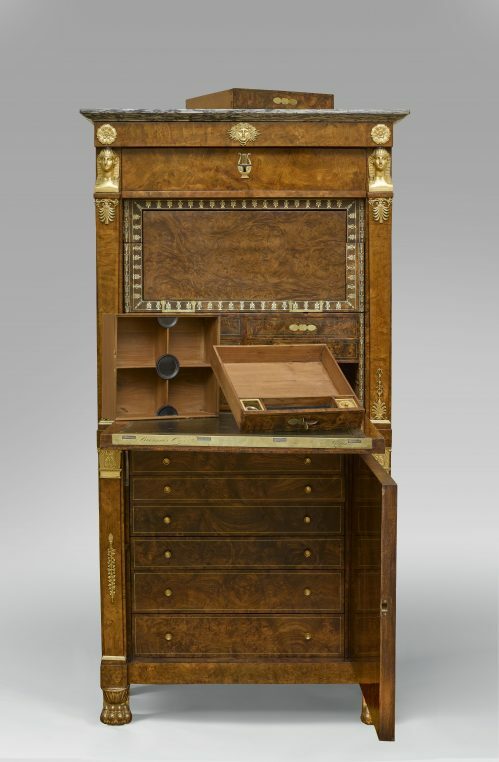 Prince Eugène de Beauharnais (Joséphine’s son) has a fascinating barber table with 39 different accessories. There are six major secrétaires richly adorned with gold and all with a specific hiding system. 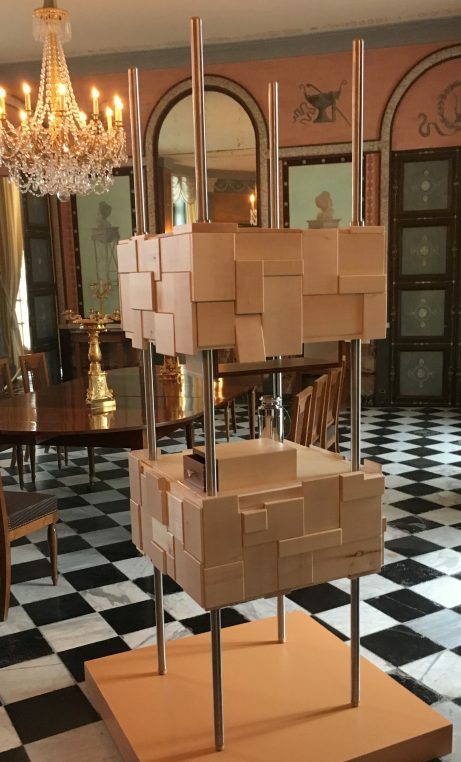 Some of these pieces have been restored by students from Ecole Boulle, named after one of the greatest 17 th-18 th century ébéniste (cabinet maker) in France who introduced gilt bronze on furniture. 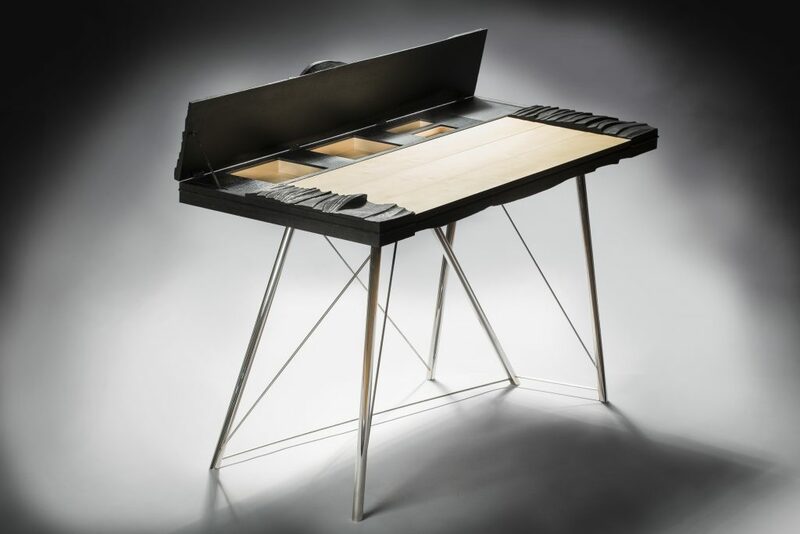 Two of the modern furniture students, Arthur Catelain (22), and Lorcan Ménard (23), have developed clever furniture with a secret which are exhibited here. One, “Insidias” is a bar made of two blocs which go up and down with a system of counterweight. The other is a table in burnt oak which opens up as a desk. Both are extremely handsome. I hope you guessed from tees lines that I loved the show, its romantic and mysterious atmosphere and if you have never been to Malmaison, you will discover a little jewel.